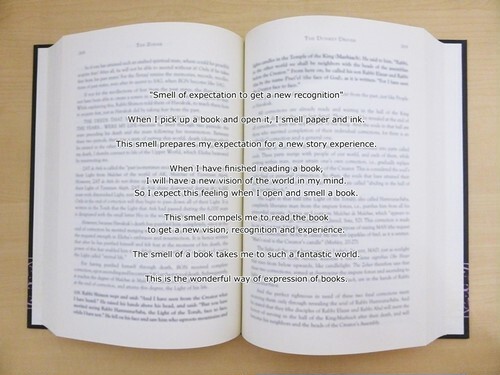 "Smell of expectation to get a new recognition"
When I pick up a book and open it, I smell paper and ink. This smell prepares my expectation for a new story experience. I will have a new vision of the world in my mind. So I expect this feeling when I open and smell a book. to get a new vision, recognition and experience. 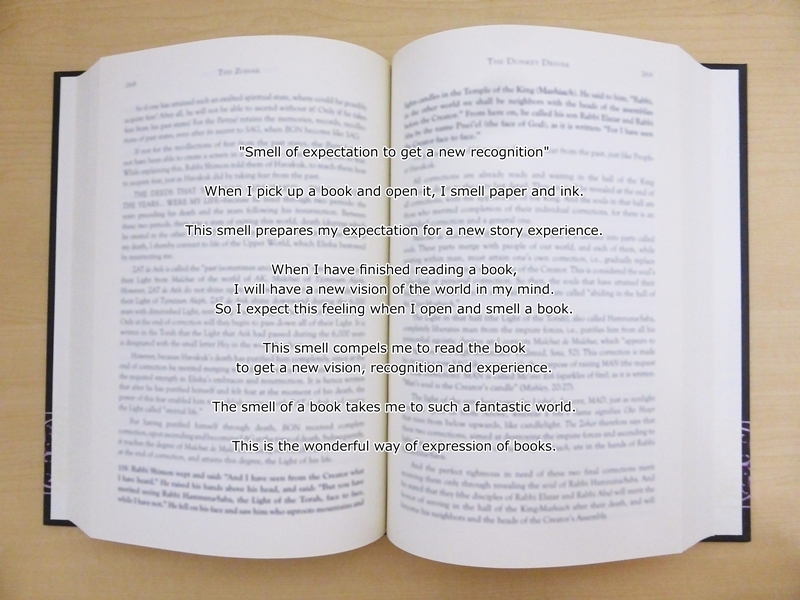 The smell of a book takes me to such a fantastic world. This is the wonderful way of expression of books.